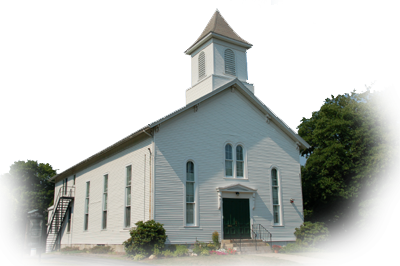 As I begin my 12th year as the Pastor of the Niantic Baptist Church, I have to pause and marvel at all that God has accomplished through this small but lively congregation. Our rather "compact" form of church government - a central Board of Stewards rather than a slew of committees - serves us well, freeing up time and energy for ministry rather than meetings. Our "Blessings" programs continue to touch the lives of local seniors and enrich our own lives as well. Members of this congregation continue to give generously of their time and their financial resources in support of our local ministry and the wider ministries of the American Baptist Churches. We continue to enjoy joyful, music-filled, family-friendly worship each Sunday, and we are enjoying getting to know our newest members. We offer 3 different adult bible study groups in addition to Sunday School for our youth. Many small churches get hung up on becoming bigger churches. Not that there's anything wrong with growth! After all, we are charged to "make disciples" in Jesus' name. We love having visitors, and we are always very excited to welcome new members into our fellowship. But we like being a small church where everybody knows each other's name... where we feel more like a family than a congregation... where we can truly connect with one another during Sunday worship and throughout the week. I am truly blessed to serve as the Pastor of this wonderful church family. If you are searching for a church home, I invite you to come and share in that blessing.